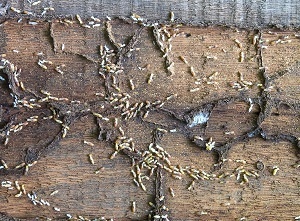 Every homeowner knows that termites are a serious concern to their property. But what you might not know is just how big a concern these insects are. In one year, termites cause roughly $5 billion in damage in just the United States, an amount that is more than floods, fires and earthquakes combined. Plus, unlike floods or earthquakes, these creatures aren't a one-time fluke occurrence. When they find a spot that allows their colony to flourish, they're going to stay until they no longer can do so. With how well they stay hidden, an inspection of your home now can be a great way to prevent needing termite treatment in St. Augustine, FL, later. Here's why! With a lot of pests, you'll be able to see or hear them making their move throughout your home. When you do, you can plan your strategy toward stopping them and getting them out of your house. With termites, that doesn't work, because they do their best work in the dark spaces in your walls. They don't like to come out into the open, and they don't always leave signs of their presence. Often, your first sign is a hollow wall, and by then, you have a problem. Here's the other reason that spotting termites doesn't work: let's say that you've spotted a few and figured out where they're hiding. Problem solved, right? Wrong. Termites are excellent at getting messages to their colony to pack up and move, and the minute they feel threatened, they're gone. To take termites out, you must be ready to do so as soon as you know where they are. If you aren't, you've missed your chance. The best way to know if you've got termites is to have a professional check, because if you do have termites, you'll be able to take them out right away. Even if you've got to spend money on extermination after your inspection today, you'll usually pay half or less of what it would have cost you in repairs if you hadn't caught the termites in time. The earlier you catch termites, the easier it is for termite treatment in St. Augustine, FL, to terminate them and limit the damage to your home. The only way to eliminate termites is to kill them the first time, and that requires finding them through an inspection. With an inspection, you'll either stop a problem before it starts, or you'll confirm there is no problem, which means either way, you win!